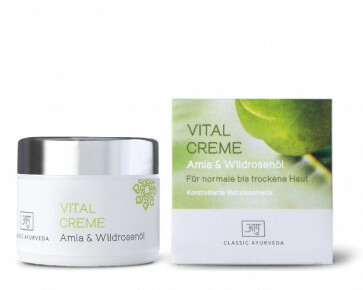 A rich cream made from cocoa butter, rosehip oil and wheat germ oil which is very rich in vitamins (vitamins A, E and D). It nourishes and renews your skin. Amla, known to be the fruit of youth and beauty in ayurvedic skin care, promotes the natural vitality of the skin. Amla fruits and other skin regenerating ayurvedic plant extracts are traditionally prepared in almond oil and can thereby deeply penetrate the skin. 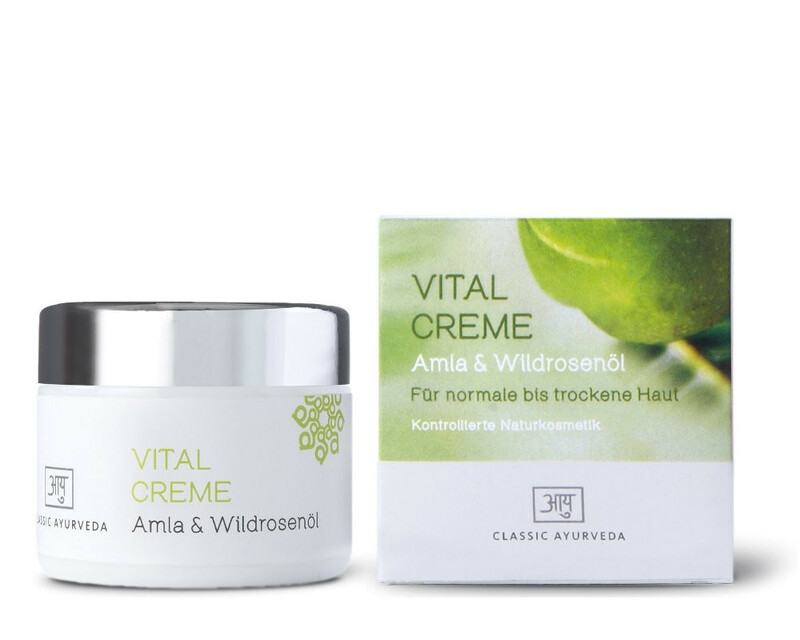 Natural aromatic oils give a delicate scent to the vitality creme.